On May 1, when the Legislature returns for their wrap-up session, the Senate will consider a motion by Senator Anthony Hensley (D-Topeka) to bring HB 2066 out of committee and on to the Senate floor for debate and action. HB 2066 came to the House floor in a different form than what the Senate will consider but on a motion by Rep. Kathy Wolfe Moore (D-Kansas City), the bill was amended to be a Medicaid expansion bill (Medicaid in Kansas is called “KanCare”). The amendment was adopted on a vote of 69 to 53 but only after House leadership tried to stop it by ruling the amendment not germane to the topic in the bill. The House voted to overrule leadership – a very rare action which indicated a strong desire by the majority to act on KanCare/Medicaid expansion. HB 2066 passed the House on March 21 on a vote of 69 to 54. But since then, leadership in the Senate has done everything in their power to make sure the bill does not get a vote in the Senate. Polls consistently show that between 70 and 80% of Kansans want the state to adopt expansion. Why? Well, there are several good reasons. All Kansans pay federal income tax and some of that tax money is sent back to states to pay 90% of the cost of Medicaid expansion. The states that don’t expand are leaving those dollars in Washington. Kansas has already forfeited over $3 billion that could be brought back to Kansas in the form of health care for working Kansans. Rural hospitals in Kansas are closing. Five have already closed while others are on the brink of closing. Medicaid expansion would bring health care dollars back into Kansas communities and in-turn support the fiscal health of rural hospitals and the communities they serve. If you have health insurance, your premiums are impacted by those who don’t. People who lack health insurance rely on expensive emergency rooms for care. Covering the cost of that care is part of the reason hospital bills are so high – the cost of the uninsured is passed on to the insured through higher medical bills and insurance premiums. The simple fact is, the more people who have health insurance, the better costs can be contained. 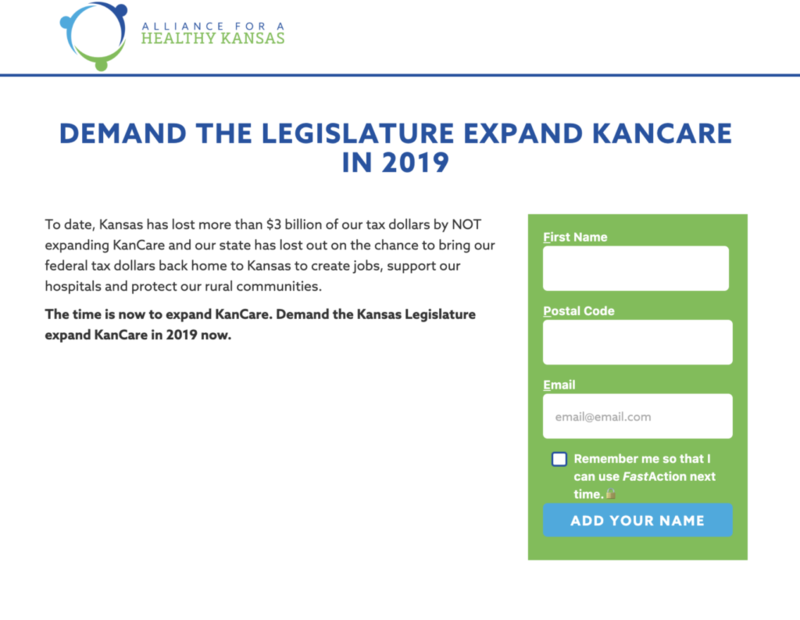 Kansas NEA supports KanCare expansion. It’s good for school employees. Some of the people that our students depend on – bus drivers, cafeteria workers, part time ESP staff – would benefit from expansion. It’s good for children – our students – because learning is very challenging when students must deal with the distress of a sick parent who could be treated with proper coverage. It’s hard to understand why some legislators are opposed to health care for working Kansans. The Hensley motion to bring the bill out of committee will take more than the minimum 21 votes – it takes 24 just to get the bill to the floor; it then takes 27 to bring the bill up for action. In 2017, both the House and Senate voted to expand KanCare only to have it vetoed by Governor Brownback. The House successfully voted to override that veto but the Senate vote to override came up one vote short. This is the same Senate that voted in 2017 with three changes (Eric Rucker for Vicki Schmidt, Kevin Braun for Steve Fitzgerald, and Vic Miller for Laura Kelly). This year, Kansas has a Governor who will sign KanCare expansion into law. The last hurdle is the Kansas Senate. We urge all Kansans to contact their Senator and urge them to support the Hensley motions to bring HB 2066 to a vote on the Senate floor and then to support HB 2066 for passage. The time for KanCare expansion is NOW. The time to help our rural hospitals, to provide for our working neighbors, to keep our communities strong is NOW. 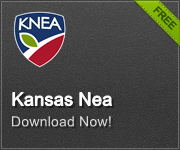 Take action through the Alliance for a Healthy Kansas (KNEA is a member of the Alliance). Click here. Want to know more about Medicaid Expansion in Kansas? To learn more about Medicaid expansion and to watch a short video explaining the “coverage gap,” click here. Debate on several issues continues under the dome tonight. Session adjourned, but what have we truly accomplished?